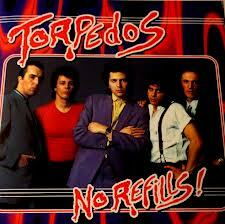 RETRO KIMMER'S BLOG: THE TORPEDOS: NO REFILLS.....I LOVE THIS!!! Guitarist Robert Gillespie kicks back and pours another vodka, playing the charming host in his sprawling Pleasant Ridge home. It’s a spacious rock ’n’ roll mansion of sorts — guitars, books and records are scattered amid leopard-print rugs and throw pillows. The basement is jammed with musical gear, ready for impromptu drunken jams. Gillespie has a casual star quality. 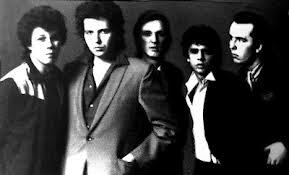 He plays in the super-group Power Train as well as with Mitch Ryder (since 1983). Perhaps it’s the work of the spirit of vocalist Johnny Angelos, who is front and center on the video. Angelos, the gangster R&B punk, doesn’t just look out from the screen, he jumps and screams out at you. He sounds cocky and cool and he looks fantastic. He would be dead in three years. Nice job! At their best, the Torpedos swaggered with a capital "S," back when Detroit was a talk show punchline rather than ubertrendy, the band packed to bursting with all the goods and, on most nights, absolutely no clue what to do with them. Johnny Angelos... 30 years he's gone and I still miss the guy.